Kiwifruit need shelter in spring, when the young stems are actively growing, and in autumn, when the berries are swelling. 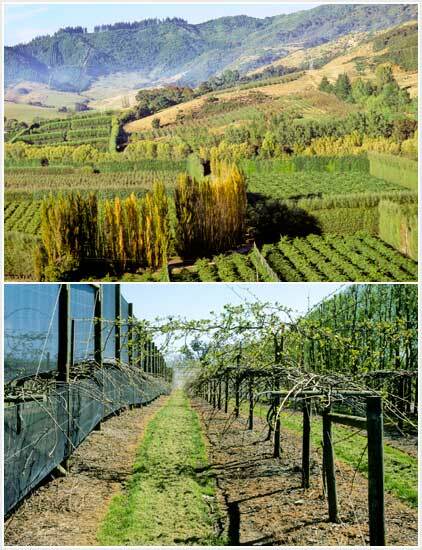 Belts of fast-growing poplar and willow line the boundaries of older kiwifruit orchards (top). Modern growers are more likely to use plastic or polythene netting (bottom).